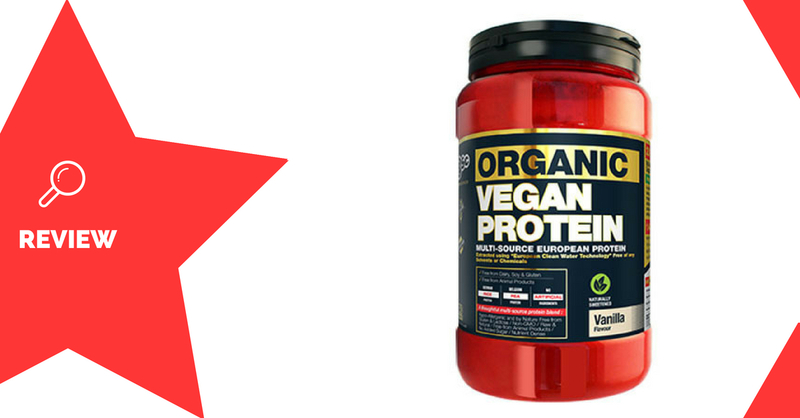 Organic Vegan Protein is a protein powder supplement made by BodyScience. It’s a vegan-friendly formula, which is designed to improve muscle growth and repair. BodyScience is an Australian-owned company, founded in 1999. Pea protein is arguably one of the best vegan protein sources for bodybuilding. This is due to its high content of branched chain amino acids (BCAAs) – the building blocks most crucial for muscle development. It has a BCAA content which is comparable to that of whey (1). Rice protein is another high-quality vegan source of protein. Although it’s not as good for muscle-building as pea protein, it provides a much smoother texture and taste, as well as providing other amino acids which lack in pea protein (2). Athletes wanting a vegetarian/vegan-friendly protein powder for muscular recovery and growth will enjoy using BSc Organic Vegan Protein. Mix 2 heaped tablespoon (25g) with 250-300mL water or milk, and consume either post workout or as desired. Contains rice protein to smoothen taste and texture. Rice protein may slightly dilute the usefulness of the protein content for muscle development. Organic Vegan Protein is an excellent source of protein for those who prefer a plant-based diet. It uses high-quality protein sources which contain adequate levels of BCAAs for muscle development, however the addition of rice protein may make it slightly less effective than pure pea or whey protein. Rice protein may, however, give it a smoother taste than other pea protein powders.